Just because I dig these performances so much…I’m presenting a slightly revised verson of a piece that originally ran in The Golden Gate Blues Society’s newsletter (check out the Society’s excellent Web site at http://tggbs.org). 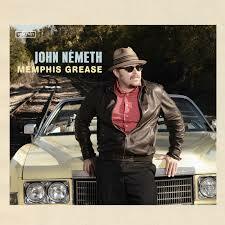 The Memphis-based songwriter-harmonica player-singer John Németh (an Idaho native who until recently had made the Bay Area his home) has made his mark with multiple Blues Music Awards nominations and Living Blues Awards, and is widely considered to be one of the most striking vocal talents to appear in some time. A decade into his recording career, he is both a relative newcomer and, with a pair of independent CDs and three for Blind Pig Records, all of them acclaimed, under his belt, a veteran artist. In February 2012, Németh decided to present an ambitious overview of his music. He assembled a crackerjack band – John Lee Sanders (keys), Tommy Folen (bass guitar), Nick Fishman (drums), and Bob Welsh, A.C. Myles, and Kid Andersen (guitars) – for performances at the Point Arena Theater, the Poor House Bistro, and Biscuits and Blues; recorded those shows; and distilled them into two albums, each dedicated to an aspect of his music interests. One reflects Németh’s Blues Live, and the other concentrates on his Soul Live. Soul Live begins with nine Németh compositions. Most tilt toward the hard, uptempo style of R&B that flourished alongside the deep and sweet soul sounds of the ‘60s. All transcend genre to sound strikingly contemporary. “Too Good To Be True” grafts an indelible melody to a rumbling, ska-like bass line, and ices it with chicken-pickin’ guitar. (Yes, that’s right: chicken-pickin’.) “Blue Broadway” has that push-pull rhythm that encourages listeners to push back the furniture and take off their clothes. A solid four-on-the-floor beat, breakdowns in the verses, ascending chords in the chorus, a truly tuneful bridge, and a hummingbird-wing guitar solo make “Love Me Tonight” unstoppable. The irresistible “Name The Day” channels the sweet sound of Chicago soul à la Tyrone Davis. Want funk? Németh and band hint at Parliament in “Do You Really Want That Woman” and James Brown in “Funky Feelin’,” which stars tough harp and bass solos and hip, interlocking guitars (dig the superbad single note rhythm and the auto-wah!). “Magic Touch” features ace guitar solos incorporating Chuck Berry-isms, pitch shifts via tuning machine (not string-bending or whammy bars), twin-guitar harmony–the whole kitchen sink!–as well as dynamics that seem almost impossible in this roots-rocking context. The only breaks in an otherwise high-energy set come in the lilting “Fuel For Your Fire,” and in “Said Too Much,” quite a lovely deep soul ballad, sensitively played and beautifully sung. Solomon Burke’s “Home In Your Heart” and a hard-charging take on Oakland legend Rodger Collins’s “She’s Looking Good” that approaches revival-tent fervor round out this stunning disc. The same cast plays blues just as effectively. The proof is all over the sister CD. A supple, dynamically charged reading of Fats Domino’s “Every Night About This Time” leads into the pile-driving original “Country Boy,” where the band repeatedly builds and releases in intensity behind Németh’s harp solo. Al Simmons’s wild, down-home (down-home Fresno, that is) rocker “Ain’t Too Old” follows. “Daughter Of The Devil” and “Mother-In-Law” are other fine lowdown numbers, and “Just Like You” is what blues rock would sound like in a dream world in which The Red Devils and The Blasters defined the style. Want blues with a touch of soul? Sweet and stinging, Magic Sam’s “She Belongs To Me” grooves deep. Slinky and diamond-hard, “You Know” and “Love Gone Crazy” are raw enough to sit in a blues set, funky enough to have been included on Soul Live. And the show-stopping slow blues “Blues In My Heart” may well fool you into thinking you are hearing Buddy Guy and Junior Wells in their prime. 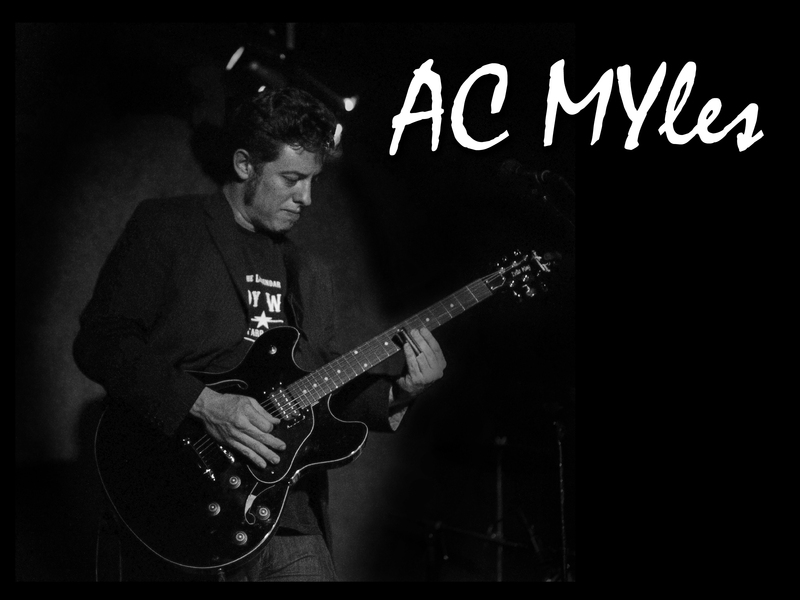 In all, Blues Live is a dynamite display of solid rhythms, gritty and inventive playing, with great tone from the guitarists and Németh on harp, and stellar singing. Both Soul Live and Blues Live are exceptional documents that showcase Németh’s remarkable vocals and sharply focused songs, and make clear the power of a rhythm and blues band that both knows how to play the music, and leaves everything on the stage.